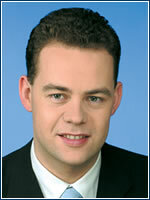 On 1 March 2005 named general director of ČP Leasing.What led you to accept the offer for this job? Mainly my desire to work with an excellent team and follow up on the company’s successes in previous years. What do you see as your greatest task? To widen the company’s product line, simplify internal processes, and increase the year-on-year volume of new transactions – all with a positive effect on future economic results. What do you think a general director’s greatest strength should be? A willingness to listen to colleagues and experts in individual fields, and together to seek out steps leading to the company’s ongoing development. Sales officer of Finnish vodkas at Plzeňský Prazdroj. What did you want to be when you were a kid? Maybe everything, but a financier never occurred to me. Successful athletes; they see their own goals clearly and are willing to subjugate themselves completely to them. Direct and open, which people may not like when they are criticized, but appreciate when they’re recognized. Even though I had no degree for this position, common sense and my own work system have always helped me in my career. So, to those without college educations – don’t underestimate yourselves! As of 1 February 2005, named new CEO of Plzeňský Prazdroj. As of 1 March 2005, appointed general director of Home Credit Finance. 1968 honours degree in Mechanical Engineering, University of Birmingham. Since 1 February 2005, he is chairman of the board of directors and general manager of Calyon Bank Czech Republic.